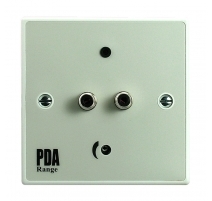 Accepts unbalanced electret microphones with 3.5mm mono jack plugs. Part of C-TEC's patented 'Outreach Plate' audio input extension system (see key features section below for details). Compatible with C-TEC's entire range of PDA102, 200E, Pro-Range and ML1 induction loop amplifiers. Can be connected to any third-party audio or induction loop amplifier using an APV 24V 250mA power supply. Mounts on a 25mm standard UK single gang back box. 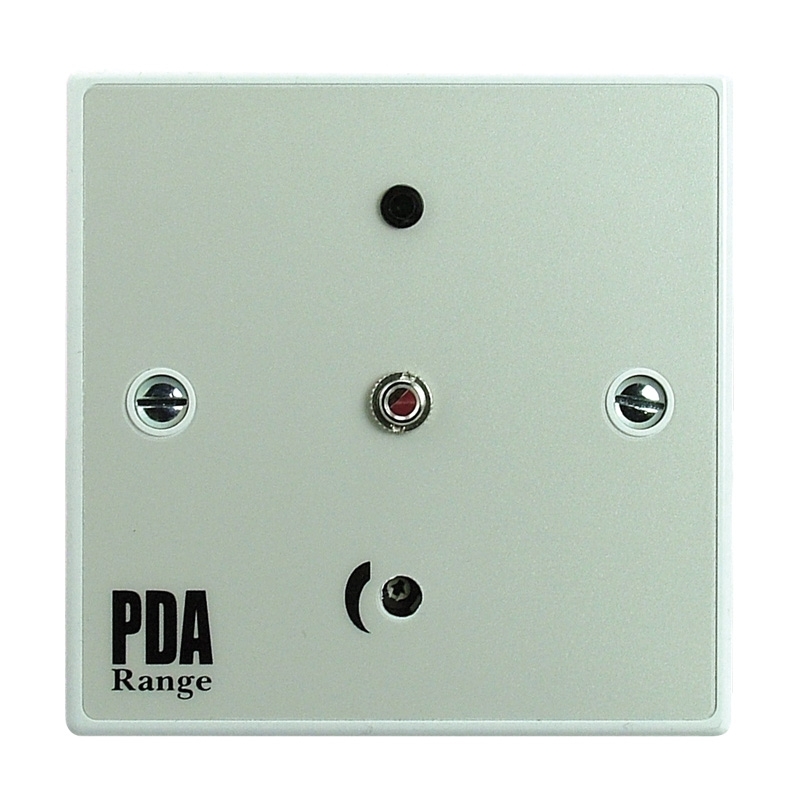 The Outreach Plate audio input extension system comprises a range of wall, ceiling and desk mountable plates specifically designed to increase the audio input capability of any audio system. Covering the most common variants of audio connectors, they work by mixing the signals from various audio input sources into a single balanced line level input on a compatible amplifier. 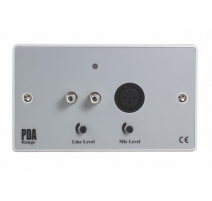 Each input plate features a built-in mixer, preamp, input level control and balanced output. Typically, up to 10 Outreach plates (any mix) can be daisy-chained to one balanced line level connection with cable lengths up to 100m easily achievable using standard two-pair audio cable (i.e. Belden 8723). Each plate requires four wires; two balanced line (Line/A +, Line/A –), one ground (GND) and one power connection (V+ = 12-32V d.c.). Most of C-TEC's PDA Range induction loop amplifiers are fitted with an Outreach connection socket as standard. 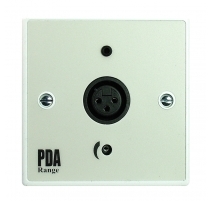 For audio systems that do not have an Outreach socket, straightforward network connection can be achieved using an ‘APV’ 24V 250mA d.c. regulated power supply and an ‘APXO’ 3 pin XLR balanced line output plate. Power requirements Supply volts: 12-32V regulated d.c.; Supply current: 12-15mA. Product dimensions (mm) W 85 x H 85 x 15 D mm. 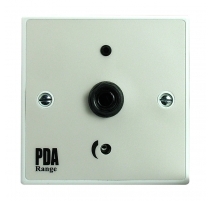 Mount on a standard 25mm single gang UK back box. Network specification -5ºC to +40ºC. Max relative humidity: 95%. Input - balanced line: 0.775Vrms (0dBu) + 6dB (overload). Input impedance: Greater than 10KΩ. Output - balanced line: 0.775Vrms (0dBu) + 6dB (overload). Output impedance: Greater than 100KΩ. Frequency response: 90Hz to 20kHz. Insertion loss/gain Less than plus/minus 0.2dB. Insertion signal to noise ratio: Greater than 79dB. Product dimensions: 85 W x 85 H x 15 D mm.